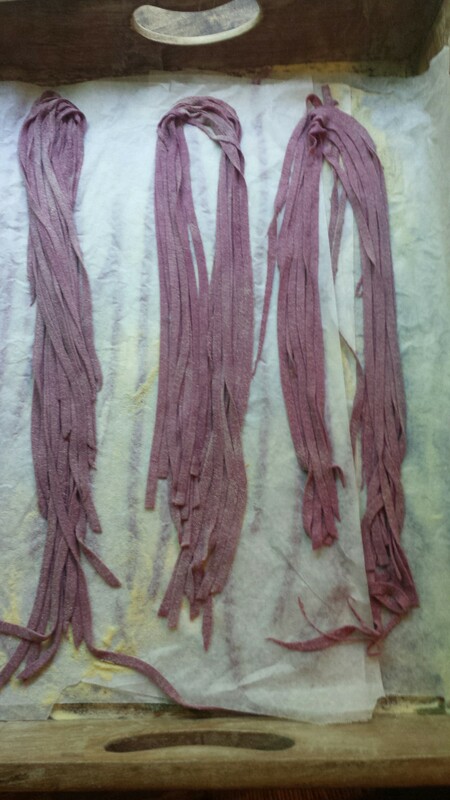 Fresh Beet Pasta- so pretty and so tasty and healthy too! Don your gloves for the beets unless you want bright red hands. 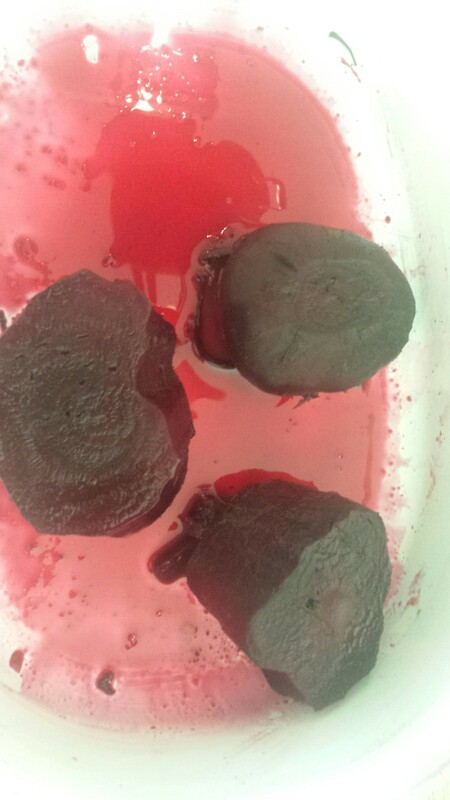 Cooking the fresh beets in the microwave make it easy to peel and cood with the fuss. 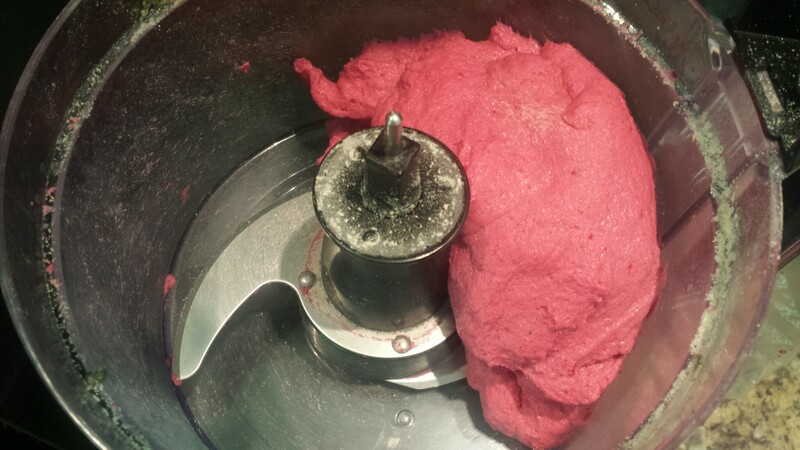 Throw the cooked beets in the food processor and puree. 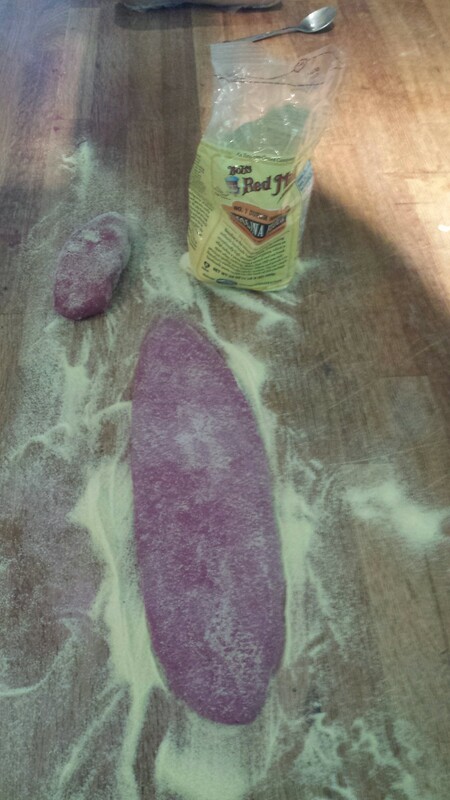 Add the semolina and mix. add water through feed tube until dough comes together into a ball. Turn out onto a semolina floured counter. 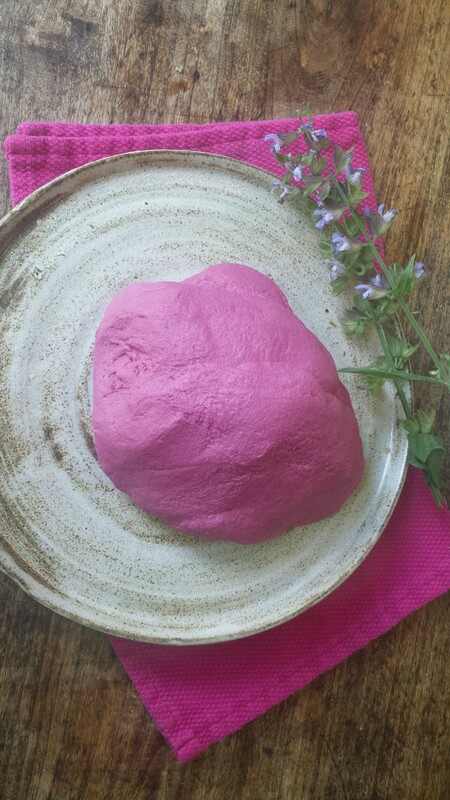 Knead 4-8 minutes until soft and silky. If sticks to your hands just add more flour. 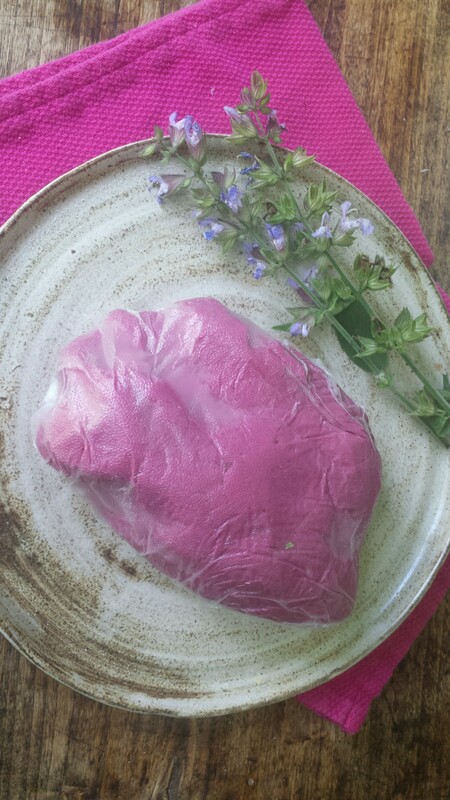 Wrap in plastic and let rest for 30 minutes to 3 hours. Can store 1 day in fridge or freeze. Remove from plastic and roll out to desired thickness. I used 5 on pasta machine. 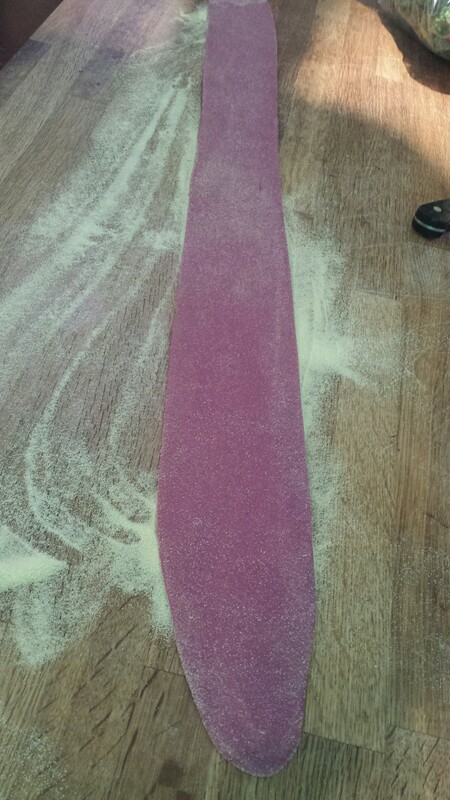 Cut into fettucine or whatever you like and let dry for up to 3 days or use immediately. Store in zip lock bags in pantry. You can also freeze noodles instead of drying. Have fun and expect to get rave reviews from your friends! Just saute the herbs and garlic in a few spoons of olive oil or butter and pour over cooked pasta. 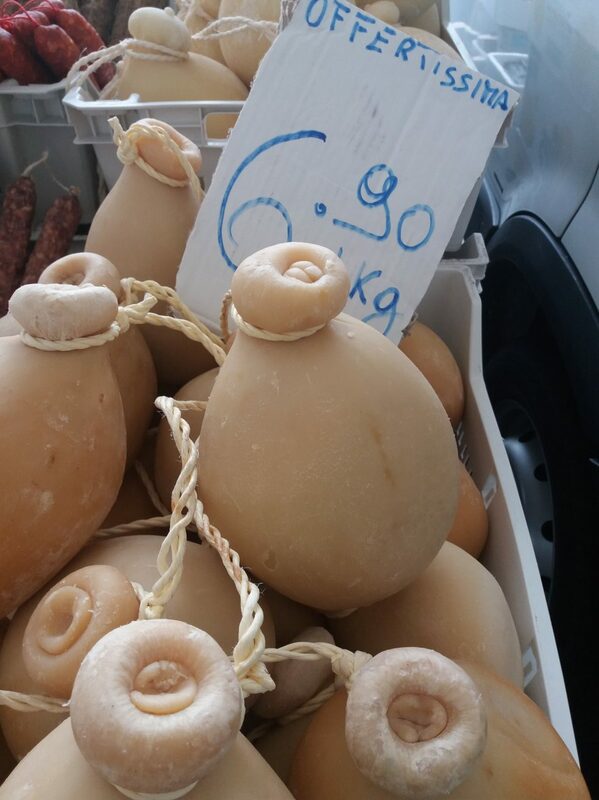 Previous Post Butternut Squash Fresh Pasta Dough – Easy! 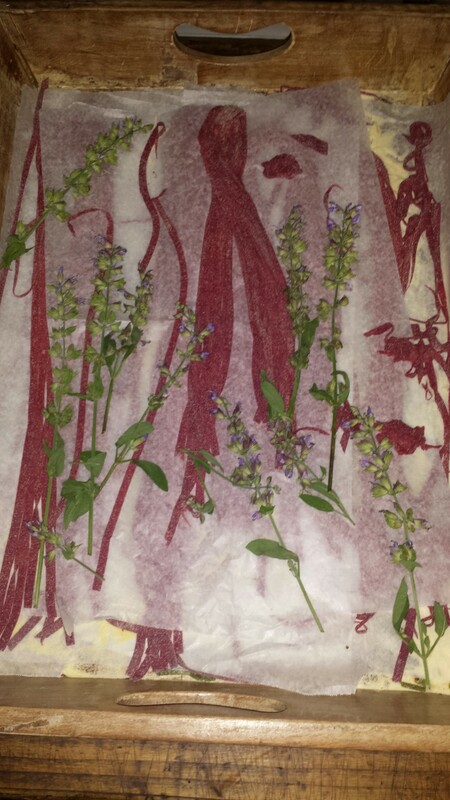 spinach, beets, zucchini, herbs, garlic can be substited!